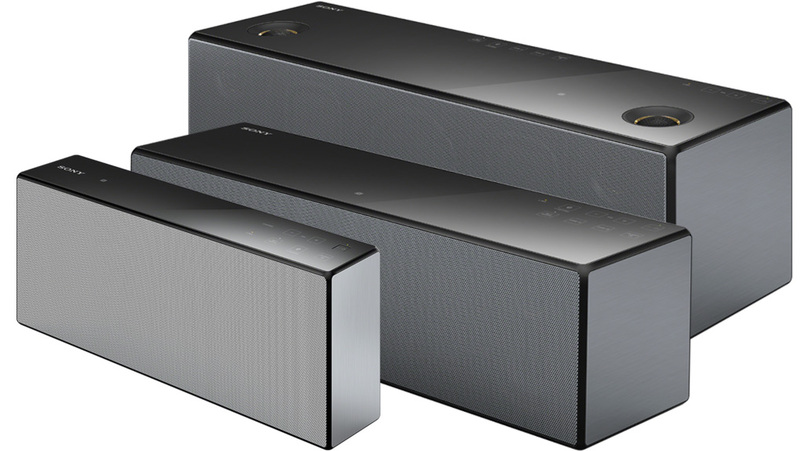 Sony has announced two new wireless speakers. 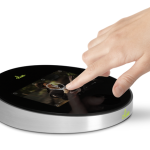 The SRS-ZR7 with four built-in speakers, Hi-Res audio playback, support for Google Cast, Spotify Connect and Multi-room capability through the SongPal app. SRS-ZR7 also has HDMI with ARC so it can be connected to a TV to play Dolby Digital/DTS audio. The SRS-ZR5 is smaller than its big brother but has the same features except that it lacks Hi-Res audio support and instead has Bluetooth with LDAC and NFC support. They are both available in spring 2016. 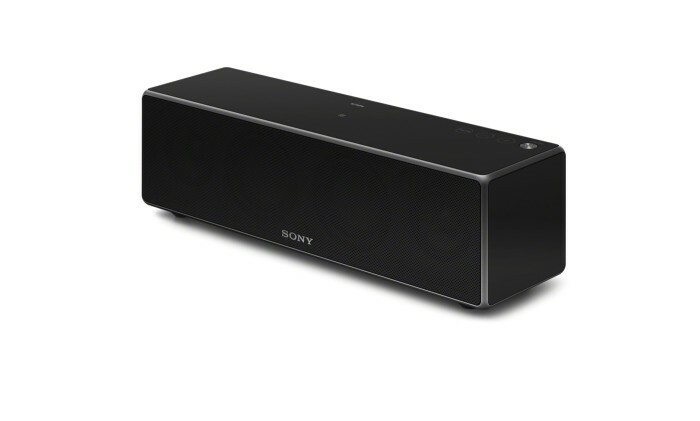 Sony also has two new sound bars that both has Multi-room support in the same way as their wireless speakers. The HT-NT5 sound bar with a wireless subwoofer has Hi-Res Audio playback, support for 4K content,HDR via HDMI HDCP 2.2. The HT-CT790 has similar specs and a few more HDMI inputs. 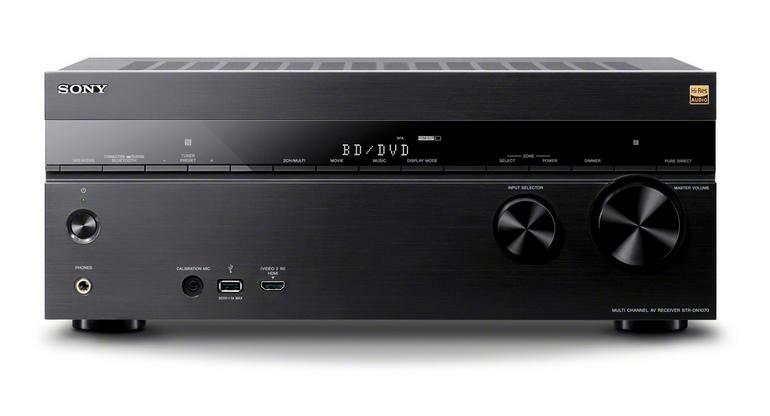 Finally Sony upgrades its A/V receiver line with the STR-DN1070 A/V receiver. It has a new DAC with support for DSD native playback of High-res Audio files. It has 8 HDMI ports (6 in/2 out) with HDCP 2.2 for 4K/60p thus supporting 4K and HDR content. 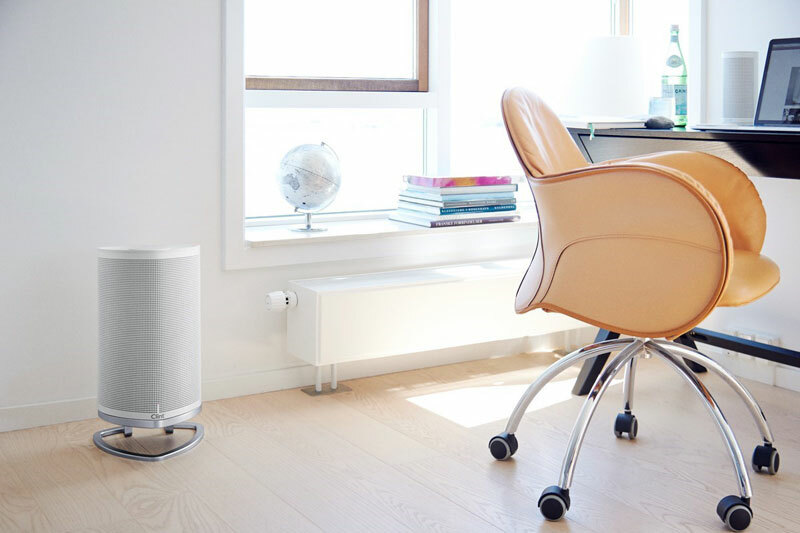 It has support for Sony’s other multi-room speakers, AirPlay, Bluetooth, Google Cast and Spotify Connect. So they all play nice together through the SongPal app. 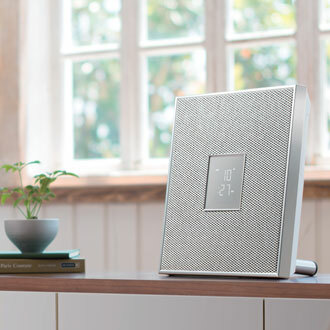 In all, impressive upgrades across the multi-room product line by Sony. 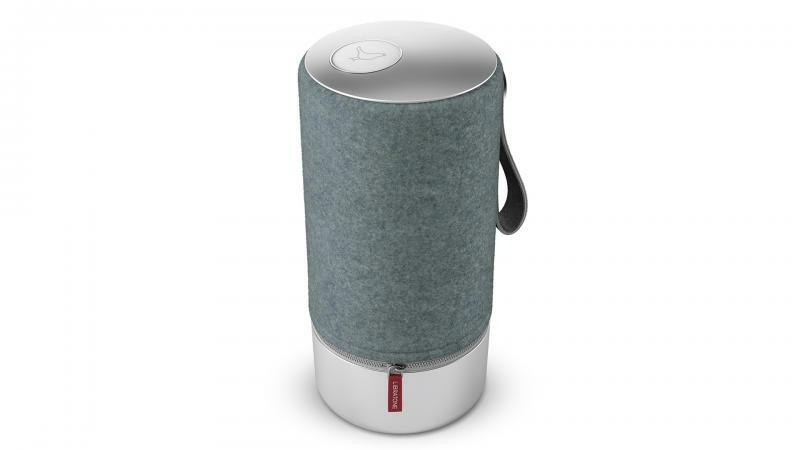 Libratone Zipp now comes in an updated design, the Copenhagen edition. 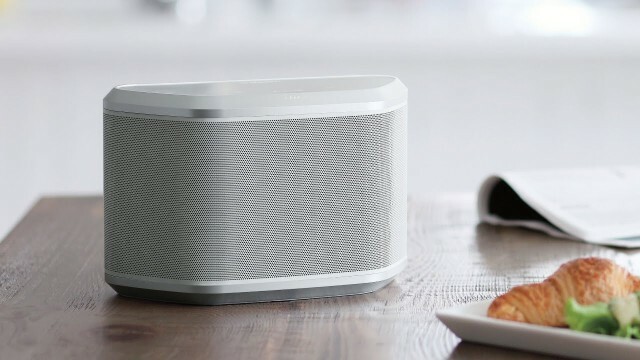 The wireless multi-room speakers technology was updated a few months ago and has 360 audio, AirPlay, Spotify Connect, Bluetooth (APTX) and DLNA. The new covers comes in Salty Grey, Pepper Black, Raspberry Red and Steel Blue. 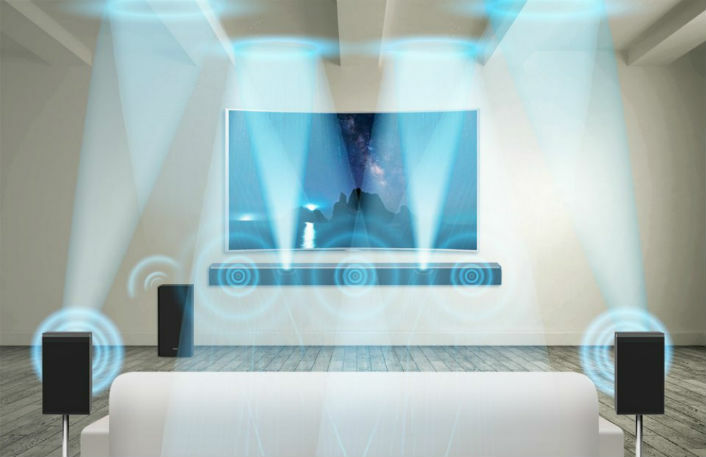 Samsung has its Radiant wireless multi-room audio speakers and will launch four new sound bars that will be a part of Samsung’s wireless multiroom-audio system. No mention of their product names yet, exempt for the HW-K950 mentioned in yesterday’s post. They have also added support for the streaming services SiriusXM and Tidal. 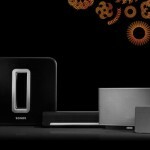 All multi-room products will become part of Samsung’s home-automation network controlled by their new line of TVs, that will be home automation hubs. If you want to build your own multi-room device based on windows 10, then the new Intel Compute stick line is something to look closer at. The entry level atom has twice the power of last years top device and they have also added the m3 and m5 with even better cpus paired with 4 gig ram and 64 gig on board storage. So with HDMI output and two real USB ports, you can easily play Hi-res audio, stream Spotify and AirPlay, with the right software of course. CES 2016, in Las Vegas, has started and multi-room audio is, just like last year, one of the bigger areas. So let’s go through the hottest news so far. 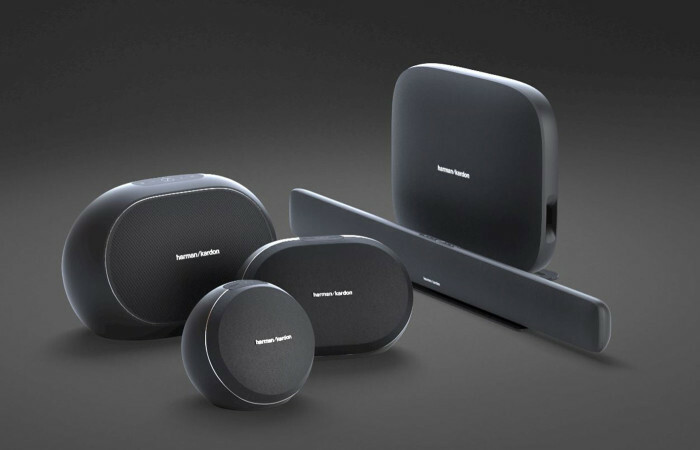 Harman Kardon revealed its new Omni+ multi-room system. It includes the Omni 10+, Omni 20+, OmniBar+, Adapt+, and the Omni 50+. Four speakers, a soundbar and a streamer that connects to existing systems. They all handle high-definition audio streaming with 24-bit/192KHz quality. 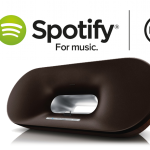 The system supports both Spotify Connect, Google Cast, Deezer and Tidal. In the controller app, you can group a pair of Omni+ speakers with the OmniBar+ to build a 3.1 or 5.1 wireless surround system. It has 5G WiFi connectivity, Bluetooth, Ethernet and an aux input. The Adapt+ will cost 129$, The Omni 10+ $199 and the OmniBar+ $999. 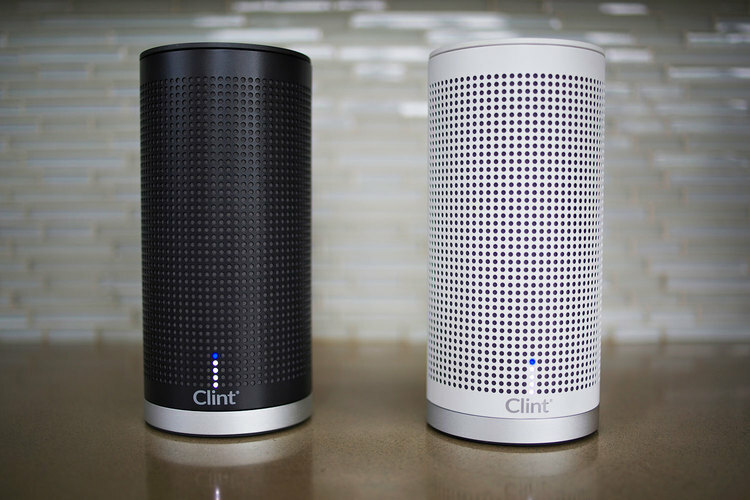 The Omni+ system arrives in stores in the spring. 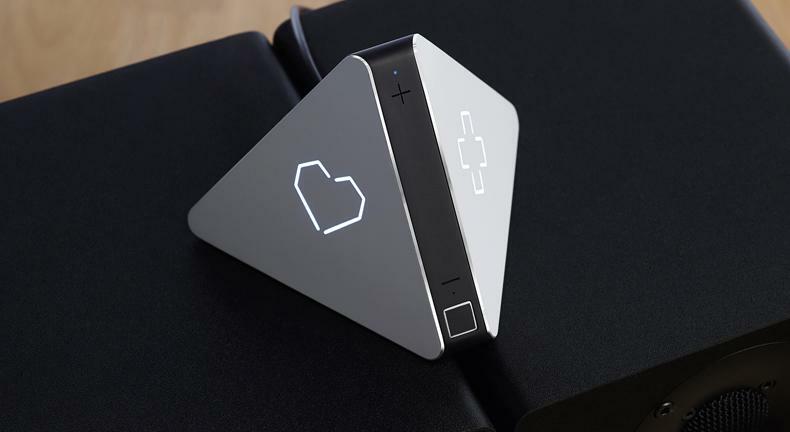 The Social music player Prizm is getting ready to launch after a successful kickstarter campaign. It is said to be able to sense the mood in the room and choose music type accordingly. If you hear a song in the room that you like, click on its heart icon, and the song will be added to your connected account. Prizm will have support for Spotify, Deezer and Soundcloud at launch. 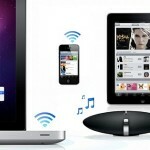 It will also support AirPlay, UPnP, DLNA and Bluetooth. Prizm does not have integrated speakers and should be connected to an existing sound system through optical or 3.5mm audio output. The price will be 169$. The new hi-res audio technology MQA (Master Quality Authenticated), that consumes less bandwidth without sacrificing quality, is a hot topic at CES 2016. Bluesound has announced that all of their products, both 1st-gen and 2nd-gen, will be MQA compatible through a free firmware update later this year. The music service Tidal showcased its coming MQA support that also will come later this year. Samsung’s new HW-K950 soundbar supports Dolby Atmos surround. It has three forward-facing front-channel drivers and two upward-firing Atmos height drivers that reflect sound off the ceiling to deliver height channels. The system also includes a wireless subwoofer and a pair of wireless surround speakers with upward-firing drivers, enabling the system to deliver a 5.1.4-channel Dolby Atmos sound field. 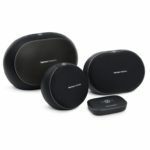 More info will come later this week about pricing and compatibility with the other Samsung audio products. 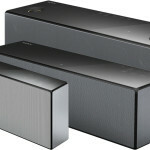 Sony has released three new wireless multiroom speakers that makes them a serious market contender. They are SRS-X77, SRS-X88 and SRS-X99. 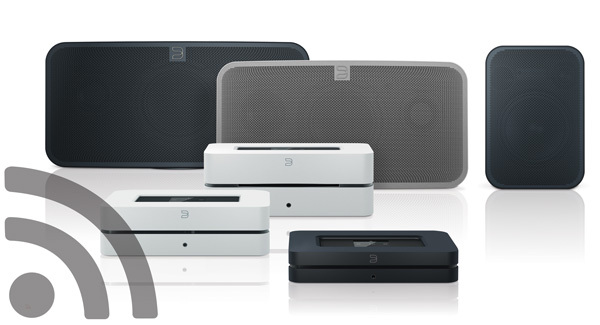 All three has support for all major streaming technologies: AirPlay, Google Cast, Spotify Connect, Bluetooth, NFC and DLNA. SRS-X88 and SRS-X99 also supports Hi-Resolution audio. They can be used one at a time or grouped together in the Song pal link app for iOS and Android. The HT-ST9 and HT-NT3 sound bars and STR-DN1060 and STR-DN860 A/V receivers also has the same functionality. SRS-X88 and SRS-X99 support playback of a wide variety of Hi-Resolution audio including MP3, WMA, AAC, WAV, FLAC, AIFF, ALAC and DSD. You can also attach an external hard drive to the speakers through USB. SRS-X77 has a battery so it is mobile. The SRS-X99 has 154 Watts and seven speakers: Two super tweeters, two front tweeters, two mid-range drivers and a single subwoofer. 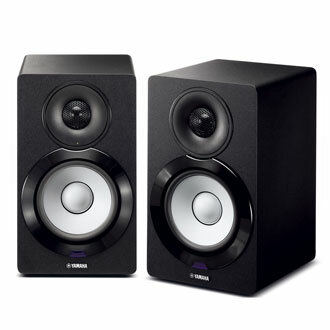 The SRS-X88 has 90 Watts and five speakers: Two front tweeters, two mid-range drivers and a single subwoofer. The SRS-X77 has 40 Watts and three speakers: Two front tweeters, a subwoofer and dual passive radiators. 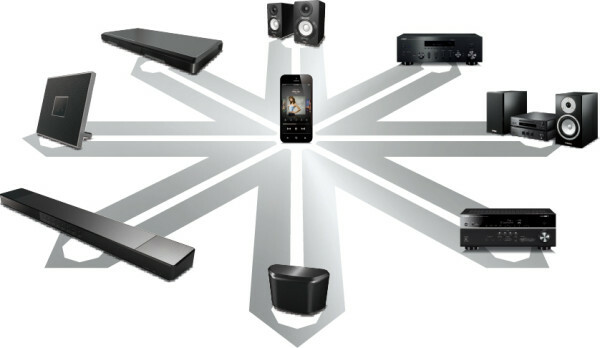 The HT-ST9 and HT-NT3 sound bars and STR-DN1060 and STR-DN860 A/V receivers supports the same techniques and audio formats as the three new speakers and all seven units can be used together in the app. So how do we compare this with Sonos? Sony has stronger hardware with support for hi res audio and all major streaming technologies. Sonys app is limited to grouping the speakers. The market leader Sonos has moderate hardware, that lacks hi res audio and manny technologies that Sony supports but instead has strong software that can handle almost any streaming service and scenario out there in a refined manner, with different songs playing in different zones from the same controller. 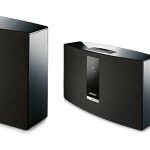 So which of those two are best for a customer that wants to play multiroom music in the easiest and most powerful way? The boring answer is that it depends on how you want to use it. Both will handle the most scenarios but in different ways. Multi-room speakers have a tendency to favour small form factor over the (possibility of) extra sound quality that bigger form factors enable. 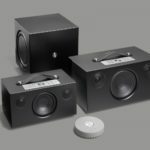 The Danish company Cint has addressed that issue with their new Odin speaker, which is part of their Asgard multi-room system. They also have the smaller speaker Freya. 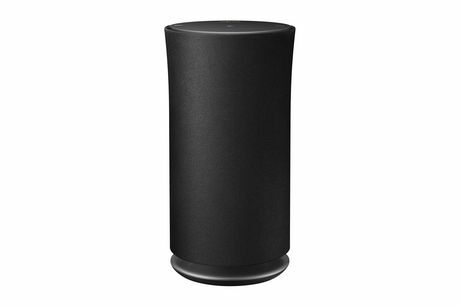 Odin is a 6.9 kg floor speaker that can play Spotify Connect, AirPlay and DLNA. It also has AUX-input for older sources. It has on device controls for basic operations and is also controlled with Cints own app for iOS and Android. Odin is reasonably priced for it’s size around 265£. 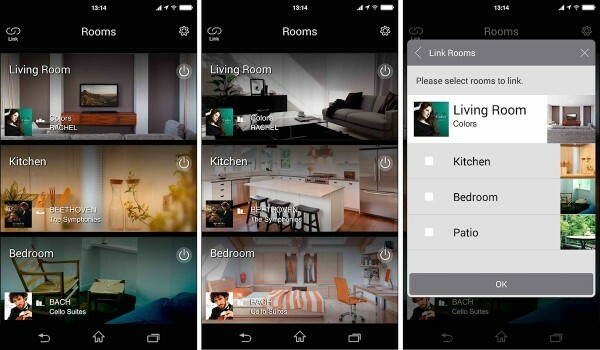 Freya comes in a multi-room version that has the same functionality as Odin. And one version with only Bluetooth. All in one would have been even better. The multi-room version is priced around 160£. The Asgard line seems promising and covers most peoples needs with both Spotify Connect and AirPlay. Read about the new Raspberry Pi 3 with Wifi and Bluetooth. Squeezeplug has partnered with Max2Play and delivers a powerful system that can manage and play music in many ways and is configured through the Max2Play web interface. 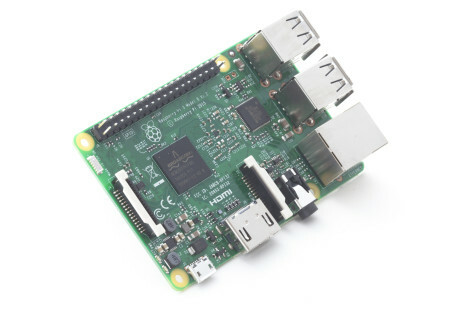 The system supports the new Raspberry Pi 2 B and previous models. 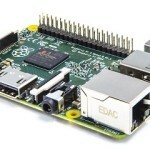 The new high powered Pi has a 900MHz quad-core ARM Cortex-A7 CPU and 1GB ram. It is considered to be 6x faster than the previous model but has the same price as it had. This makes it a great option for a small footprint media renderer. 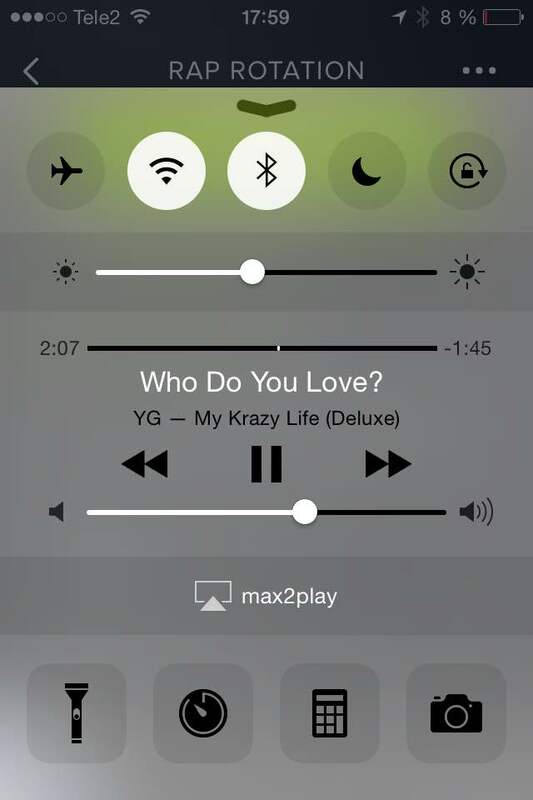 Many features are activated out of the box, like Shairport, so you can AirPlay to it from the start. The raspberry pi shows up as an AirPlay unit directly after the first bootup with squeezeplug and it works fine to AirPlay to it from Spotify. I have connected the Pi to my Onkyo receiver through HDMI. The sound quality is good. You reach all Squeezeplug setting in the web interface, where you can map to samba shares, install additional plug-ins and activate things like DLNA, Squeezebox server and Kodi server. You can even activate an Equalizer if you want. The DLNA client renderer is activated in the web interface. I use the BubbleUPnP app for playing music from a local DLNA server through the Pi and it works fine. 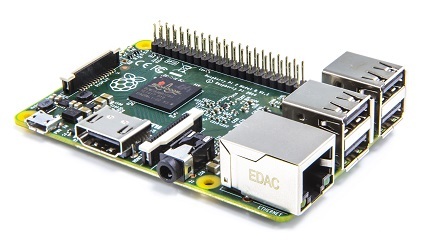 Raspberry Pi 2 has HDMI for digital output and 3.5mm for analog output. Squeezeplug supports both outputs and the default is HDMI, if connected. You can also choose one of them. Download image file from their homepage and write it to a micro sd card. Insert it into the Raspberry Pi. The system will boot when you insert the power cable. Access the web interface from another computer through http://max2play so no need for an attached monitor or keyboard/mouse. Sometimes the Pi loses HDMI connection with the receiver which leads to tiny drops in the playback. It is irritating when it happens and needs to be fixed before the setup can be considered perfect. You can install Shairport on an existing Raspbian installation. The OSMC distro, that replaces the Raspbmc distro, is based on Kodi which also have AirPlay capability. Volumino is another linux distro for Raspberry Pi 2 that turns it into a music player with support for AirPlay and a bunch of other features. 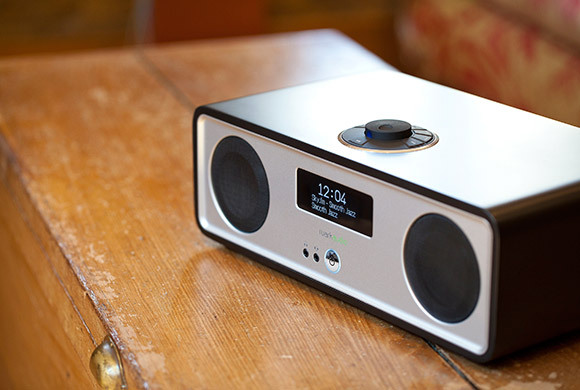 Ruark Audio has released the third version of their R2 model, which now has Multi-room functionality. The brand has been around for 35 years and the R2 mk3 shows that they know what they are doing. The functionality list is long and includes playing music from the local network through DLNA, Spotify Connect, DAB+ and internet radio. R2 is controlled in three ways, from your smart phones native Spotify app and for playing Bluetooth, the on device buttons called RotoDial and a small remote. 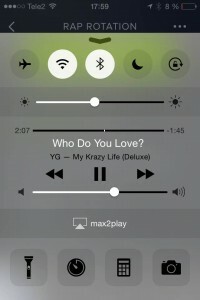 The display shows song information and also helps when interacting with the system. For now, there is no dedicated Ruark app for controlling the unit/s, but a release is planned this year. 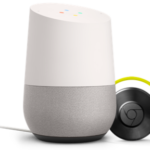 R2 has Bluetooth with aptX support, for maximum quality over Bluetooth. You can play your local music from Sources that supports DLNA or by simply attached a hard drive or USB memory to the R2. The music can be in a variety of audio codec’s including WMA, AAC, FLAC, MP3, MP2 and Real Audio. R2 supports up to CD quality, 44.1KHz/16-bit. 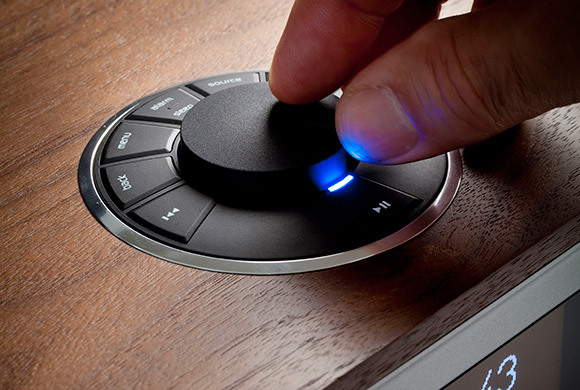 You can also enhance your TV sound by connecting it to the R2 through its phono sockets. The sound will then play through the R2 which has better sound quality than a TV. A bulkier sound bar if you will. If you are a Spotify user, or don’t use online services except radio, R2 will suit your needs really good. But if you prefer some other online service, like Google Play Music, Wimp, Rdio, then you are restricted to use them through Bluetooth, which is ok as a compliment now and then, but perhaps not for everyday core usage.